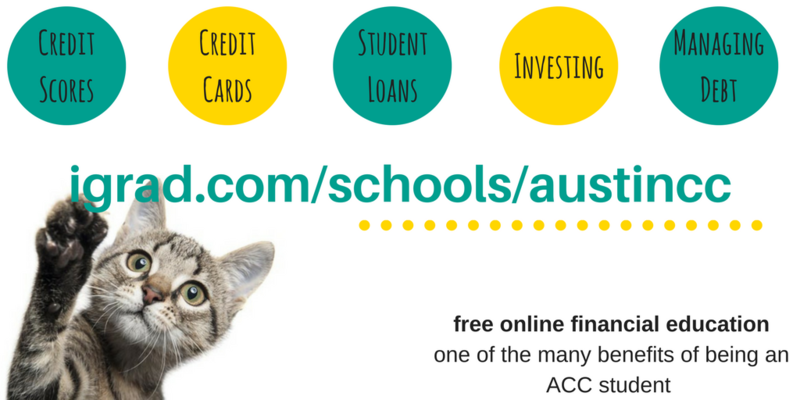 ACC’s Online Financial Education modules and materials are free for ACC students, alumni, faculty, and staff* this award-winning program customizes content to your financial stage in life. The program uses a combination of videos, games, articles, and a forum to provide engaging material. Perhaps the coolest feature is the ability to track your student loans within the program! *Thank you to Trellis for giving the ACC community this opportunity!